From verdant, low-elevation spreads in Wyoming’s northeast corner to high, dry western basins, private lands across the state are diverse. Here, we survey a few recent conservation easements from all corners of the state that are just as varied as the lands they cover. Some protect working ranches and an agricultural way of life. Others focus on open spaces and public access. Still others protect wildlife migration corridors and raptor nesting sites. The potential purposes and outcomes of conservation easements can be as different as the landowners who opt into them. Over a five-year period, 15 different landowners donated conservation easements on the Ryegrass Ranches to the Green River Valley Land Trust. 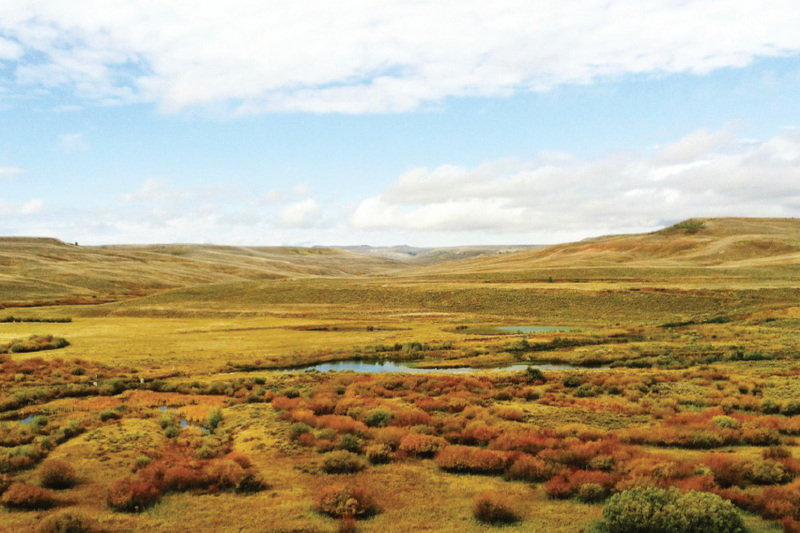 These easements preserve working ranch operations as well as significant, high-quality wildlife habitat including wetlands and creek frontage home to elk, moose, mule deer, pronghorn antelope, waterfowl, and songbirds. Raptors—including bald eagles—also nest here. The conservation easement agreement stipulates all fencing must be wildlife-friendly, and allows for wildlife and fishery enhancements. Up to 1,000 pronghorn antelope migrate through the Double Bar E Ranch each year, and 33 endangered, threatened, rare, or special concern species use the property. The historic cow-calf operation also participates in the annual Green River Drift—one of the nation’s longest running cattle drives. 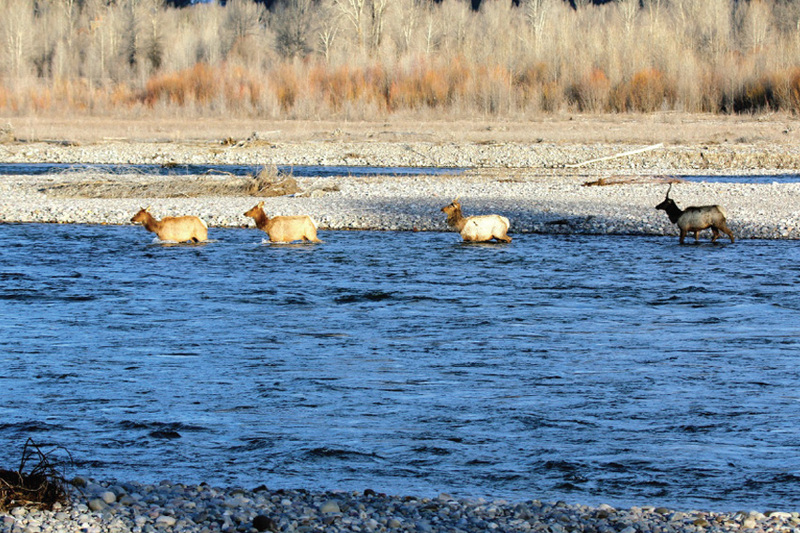 When the Green River Valley Land Trust had less than a year to raise $1.2 million to purchase a conservation easement here, The Nature Conservancy, Wyoming Wildlife and Natural Resources Trust Fund, the Rocky Mountain Elk Foundation, the Tom Thorne Sage Grouse Conservation Fund, plus numerous individuals, families, and foundations all contributed. When 18 home sites were slated for Soldier Ridge near Sheridan, the Sheridan Community Land Trust stepped in and community leaders took action. They worked with the developer to move four developable parcels off the ridgeline toward an existing road to protect views. Then a realty company donated one conservation easement, and the Sheridan Community Land Trust raised funds to purchase an adjacent one. Today, stunning views of the Bighorns treat hikers along the four-mile Soldier Ridge Trail. In addition to providing open space and public access, this project also links valuable wildlife habitat for pronghorn, deer, and elk in two valleys. Elk that winter on a feedground south of Jackson cross the Lower Snake River Ranch to reach their calving grounds on Munger Mountain in the Bridger-Teton National Forest. They cross agricultural land, in a region vulnerable to housing development, that’s also important for black bears, mountain lions, mule deer, and bald eagles. Conservation began here in 1991. In 2014, a 236-acre conservation easement complemented the 535 acres already under protection. Funding for the 2014 project included a $3 million USDA Forest Legacy Program grant and $600,000 from the Wyoming Wildlife and Natural Resource Trust. With sheltered meadows, sweeping views of the Tetons, and easy access to downtown Jackson, Spring Gulch could have easily turned into a subdivision. 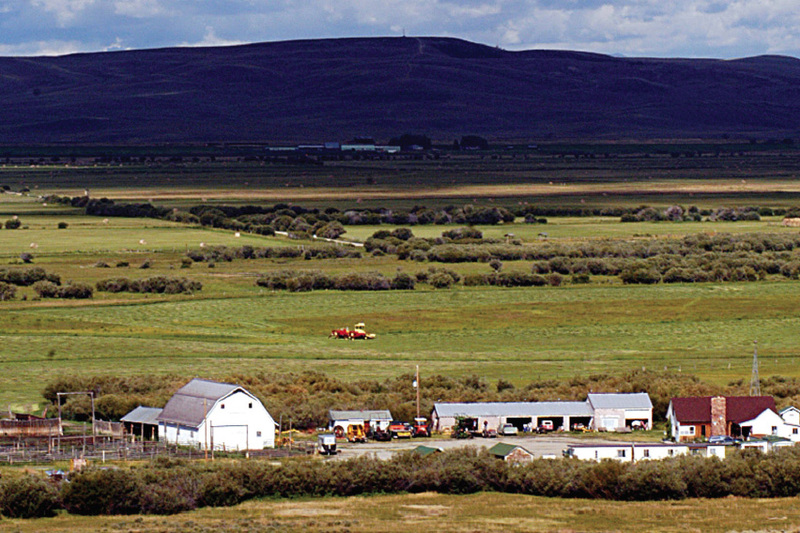 However, over the years, local ranching families and landowners donated a number of easements, including 247 acres at Jackson Land & Cattle Equestrian Center, 507 acres at Bar BC Meadow, 447 acres surrounding the Spring Creek Ranch and Amangani developments, and 211 acres at Mead Ranch. Conservation efforts in Spring Gulch are ongoing. 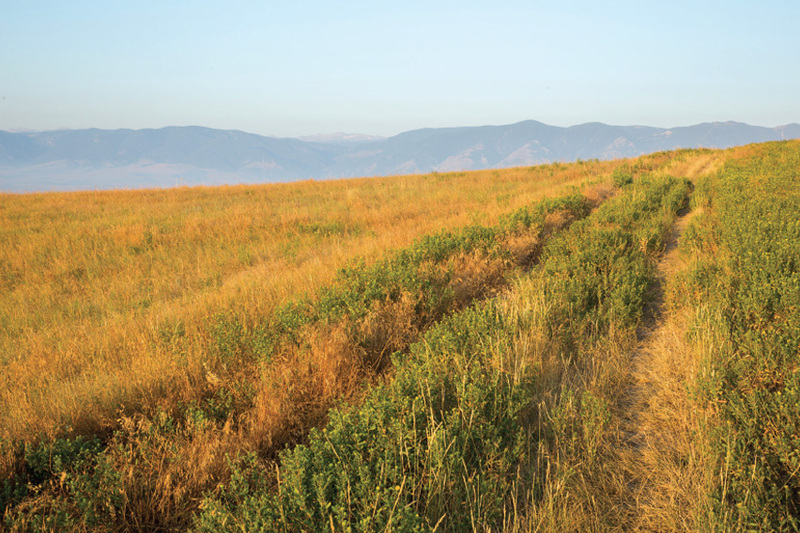 In 2015, a 379-acre conservation easement on the Mead Ranch further protected wildlife, agriculture, and scenic values. 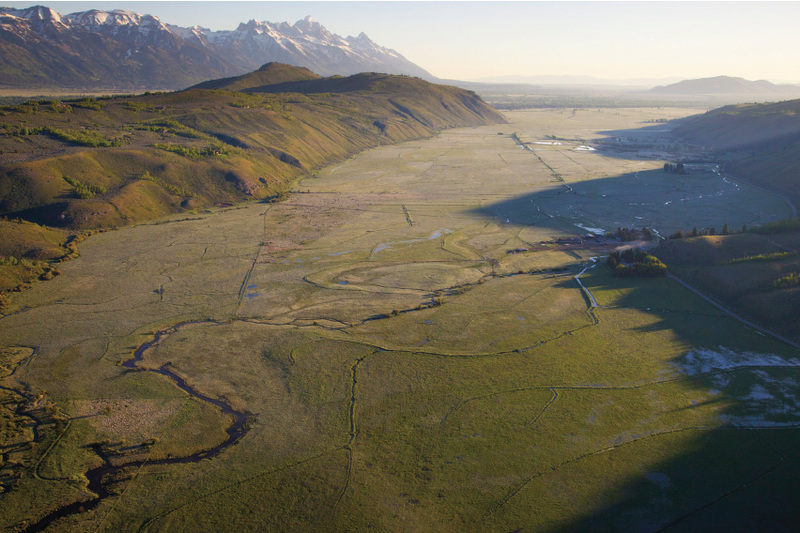 A Jackson Hole Land Trust capital campaign and a loan from the Bank of Jackson Hole paid for the 2015 project. 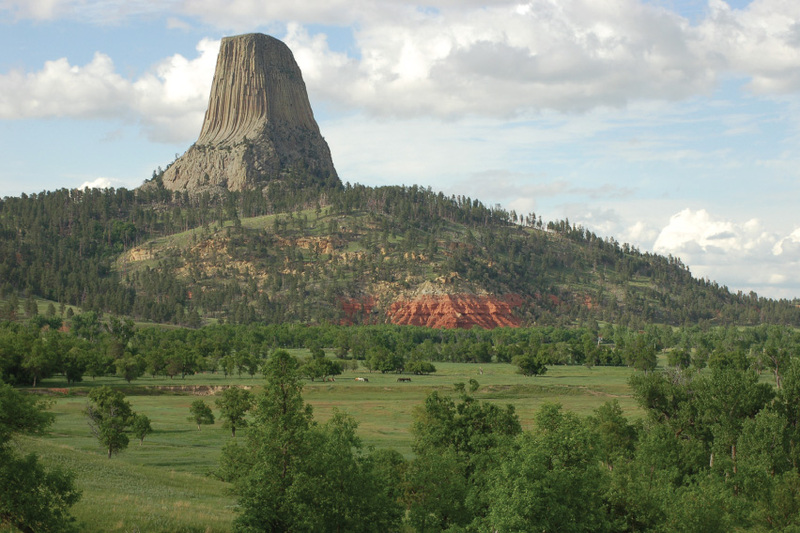 The hundreds of thousands of visitors who visit Devil’s Tower each year will see open spaces, wildlife, and working cowboys into the future, thanks to Bear Lodge Cattle Company and Ogden and Zannie Driskill. A nearly 5,000-acre conservation easement will keep these working agricultural lands in production within view of the monument. Furthermore, it will protect habitat for bald and golden eagles, osprey, peregrine and prairie falcons, herons, egrets, and other wildlife. 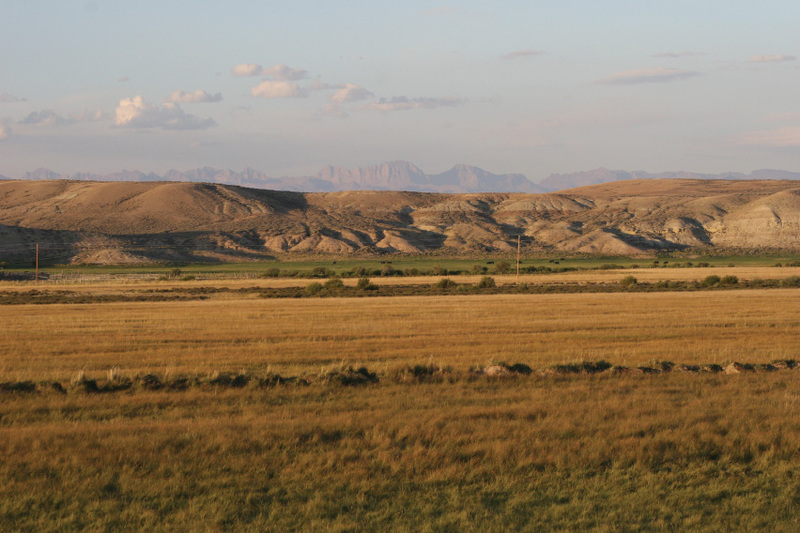 Funding from the Natural Resources Conservation Service’s Farm and Ranchland Protection Program, the Wyoming Wildlife and Natural Resource Trust, and The Conservation Fund contributed to this easement.